Now this book is not for the easily offended, or even mediumly easily offended. It essentially rips off the outter layer of the ego and throws you fully into the depraved and twisted world that we would surely live in if we, the human race, were unable to control our emotions and animalistic impulses. The dice can be cruel, the dice can make sense. 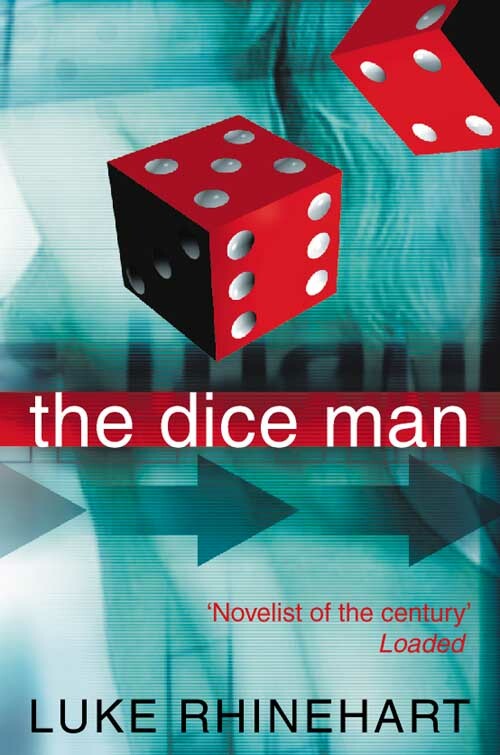 Welcome to the world of psychiatrist Dr. Luke Rhinehart where the dice become god and dictate every important action. The writing is brilliantly sarcastic, dark humoured, questioning and captures the character and his world to perfection. I really think this is an overlooked book. The scenarios and morality are outrageous. If you are female you may well feel like this is not the book for you. To base a book around rolling dice, essentially forcing Luke to commit acts of depravity is in itself a story device worth the admission price, one so simple yet so well executed that writers the world over must have kicked themselves they didnt do this already. This felt like the predecessor to American Psycho. I rolled a six dot, meaning I had to write this review. It reminds me of a Twilight Zone when the man flipped a coin and it landed on the rim. It stood straight up and while it was in that position he could get anything he wanted by just wishing it. Twilight Zone – that’s one of those tv programmes I’ve wanted to watch for awhile. The idea of the coin on its side = anything goes is brilliant. Thanks for your thoughts.